For this years Super Bowl I was trying to come up with some fun new recipes and was contemplating making a stromboli. If you don’t know what that is, it is basically a big baked pizza log. Since half our guests this year were kids I thought it might get a little messy. So I decided to slice up my stromboli and make pizza rolls. I just served them up with a warm side of my homemade marinara and they turned out great! The kids had a blast eating them. I won’t lie, they were a hit with the adults too. They were perfect little fun size pizzas! (And who doesn’t like miniature stuff?) If you have kids that like to help out in the kitchen this is a great recipe for them to assist with. Let them help sprinkle on the toppings and roll that bad boy up. Get creative and use your favorite pizza toppings. I just went basic since I had pepperoni on hand. 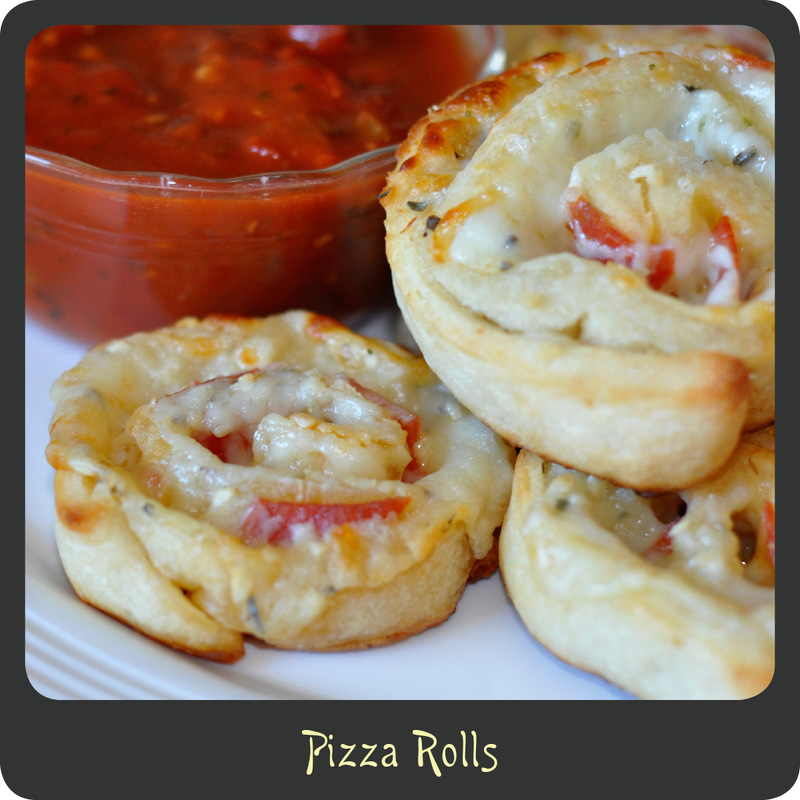 These pizza rolls are a great appetizer to make any time of year. Enjoy! Note: You can prepare your log a day in advance and keep it in the fridge. Then just pull it out, slice it up, and toss the rolls in the oven for a super quick and easy appetizer. Open pizza dough and roll it out flat, about 1/4 “ thick. Sprinkle with garlic salt, Italian seasoning, cheese, and pepperoni. Starting at the long end roll the pizza dough up tightly to form a log. Cut the log into 1/2”–3/4” thick slices. Place the slices on a lightly greased baking sheet. Bake for 10–12 minutes or until lightly brown on top. Serve with some warm marinara for dipping. Trying this recipe out tonight… I’ve used the dough before to make pizza muffins but I like your creative twist on making it into a roll! Thanks for the idea. How many does this recipe make. Looks yummy.